Download A4 Paper Mockup Free PSD. A paper mockup free psd to help you display your A4 Resume CV, flyers, poster and other print designs. 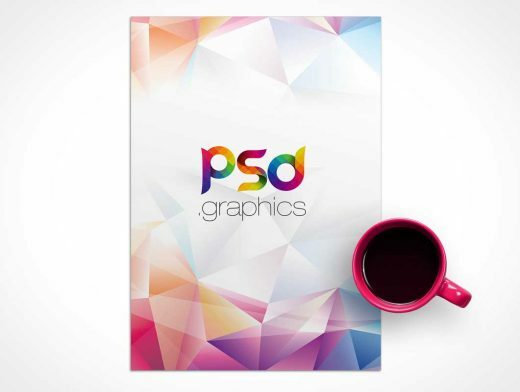 A coffee cup also added to A4 Paper Mockup Free PSD to give some sense of profession working environment . Use the smart layer to replace your resume design. This free A4 Paper Mockup PSD will help you showcasing you Resume Template design in professional way.